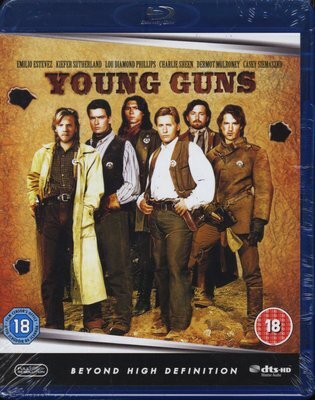 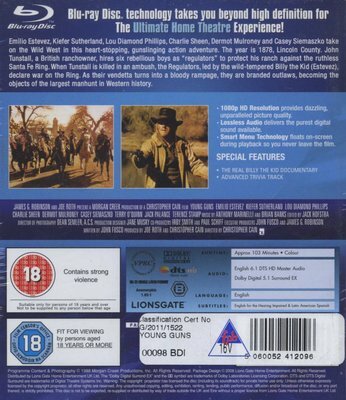 In 1878, young William Bonney (Emilio Estevez) joins a group of farmhands protecting a ranch and becomes 'Billy The Kid'. He and his friends set out to avenge the murder of their employer (Terence Stamp), but their vendetta becomes a bloody rampage, and they are soon the objects of a manhunt. The young stars, including Kiefer Sutherland, Lou Diamond Phillips and Charlie Sheen, were the 'bratpack' of the mid-80s.